“While the radiation that emanates from cell phones may not be enough to affect our brains, the conversations themselves might. Specifically, researchers at Carnegie Mellon University studied the brain waves of drivers using cell phones — and they found that even just listening to a conversation reduced the amount of brain activity devoted to driving by 37 percent. The quality of driving showed a “”significant deterioration,”” according to the 2008 study. What they found was that when children were on the cell phones, their attention to traffic — the number of times a participant looked right or left — went down 20 percent. The risk of getting hit by a car, or the number of close calls, went up 43 percent. “”The influence of cell phones on child pedestrian safety is particularly concerning because cell phones, an oddity a decade ago, are quickly becoming ubiquitous among American schoolchildren,”” said the study’s authors. Some preliminary studies show that even adult pedestrians get distracted while carrying on cell phone conversations while walking. Still, adults are much more likely to avoid injury, as they are generally more adept at navigating the crosswalk than children are. While they may pale in comparison to the seriousness of a car accident, the “”phantom”” vibrations experienced by some habitual mobile device users can be an annoying side effect of the wireless era. 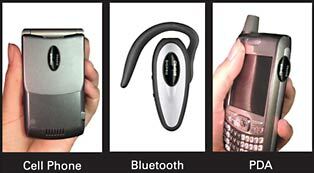 Indeed, many cell phone and BlackBerry users report feeling vibrations when their phones are, in fact, silent.